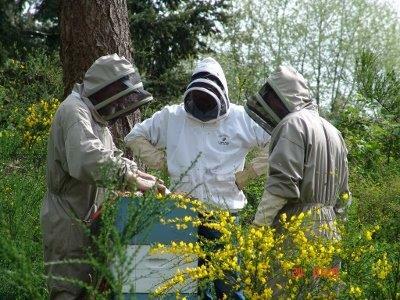 Flying Dutchman is your complete beekeeping supplier on Vancouver Island, located in Nanaimo, BC. Flying Dutchman handles FW Jones Canadian made wood boxes in both deep (9 5/8") standard and in dadant (6 5/8") standard boxes, wood frames and wired foundation for both size boxes, inner covers, lids and hive top feeders. We carry Pierco frames and are a dealer for BJ Sherriff Bee jackets, full suites and an array of children's apparel. Get your hive tools, hat, veil and gloves plus many extra items.